Marek Mazur‘s concept artwork for the company Flying Wild Hog stands on its own. It’s simply fantastic, you can traverse the worlds penned by Marek on your mind’s eye. However, this is not why I wish to share his art with you today. His mechanical design is something of a must-see. They are weird, exaggerated, style over function. 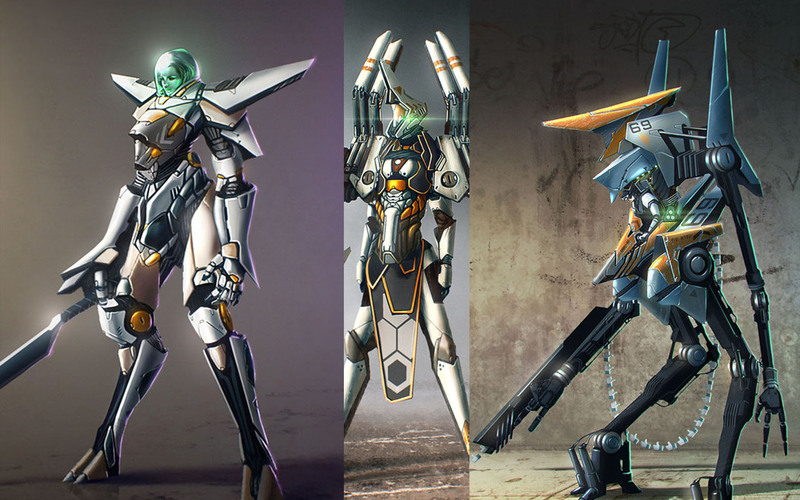 These mech suits are cool because they make no sense, they are interesting for being busy, strangely shaped. Who needs function, when you got form anyway? The google wearing super hero know as "Wasp Eye Lad" has a secret identity: Arthur De Martino, a quiet Brazilian man who loves Digital Art a bit too much.